Being a grandparent is a gift, you get all the good of being a parent without any of the grief. 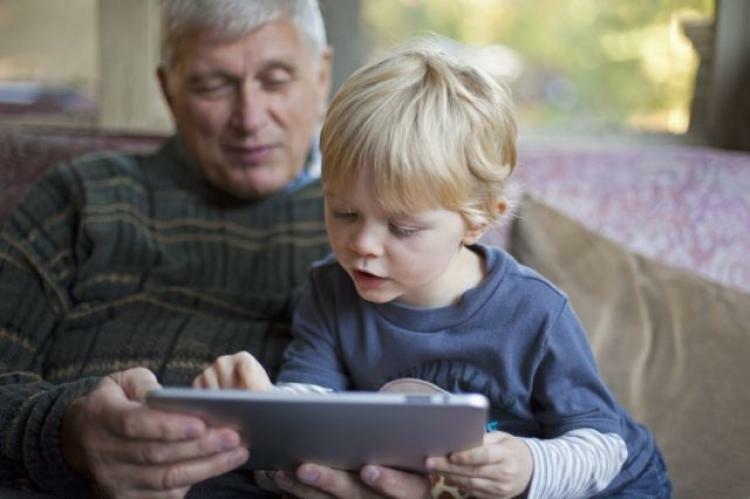 It is important though that you protect your grandkids when they are in your care, and you might have noticed that more and more children are using tablets, computers, and smartphones. Even from a young age, they have grasped how to use technology amazingly well, maybe even better than you do. But you are, however, still responsible for their safety while they are online, just like you are when you help them cross the road. The online environment has risks but you can manage those risks by following these few guidelines. You can turn on parental controls on mobile phones, tablets, and computers. If you aren’t sure how to ask a friend or family member to add turn on these built-in controls. Parental controls help filter content that may be inappropriate for children. It can also take off shopping and chat features when turned on and can be used to limit the number of time kids has online. We have made a list of them here: https://www.webwise.ie/parents/parental-controls-2/. A Safe Search means that when you use a search engine (like Google or Yahoo), you are making sure that the results are suitable for children. It is very easy to do but ask a friend or family member to do this for you if you aren’t sure. See our post on activating Google Safe Search: https://www.webwise.ie/parents/how-to-google-safesearch-for-parents-and-teachers/. If your grandchild sees something or is bothered by something on the internet, make sure they know that they can come and talk to you. This is a really nice short video that you could show your grandkids to help demonstrate what they need to do when they come across something that is bothering them. Your grandchildren may have a favourite show that they want to watch on YouTube or a particular game they would like to play. Ask their parent or guardian to download these for you in advance instead of allowing your grandchild to do so. YouTube Kids is more appropriate for young users. Most games nowadays have a PEGI rating beside them, just make sure that it is suitable for your grandchild before allowing them to play it. Remember: Always ask for help if you are unsure and make sure you have a conversation about online safety with your grandkids parent or guardian.